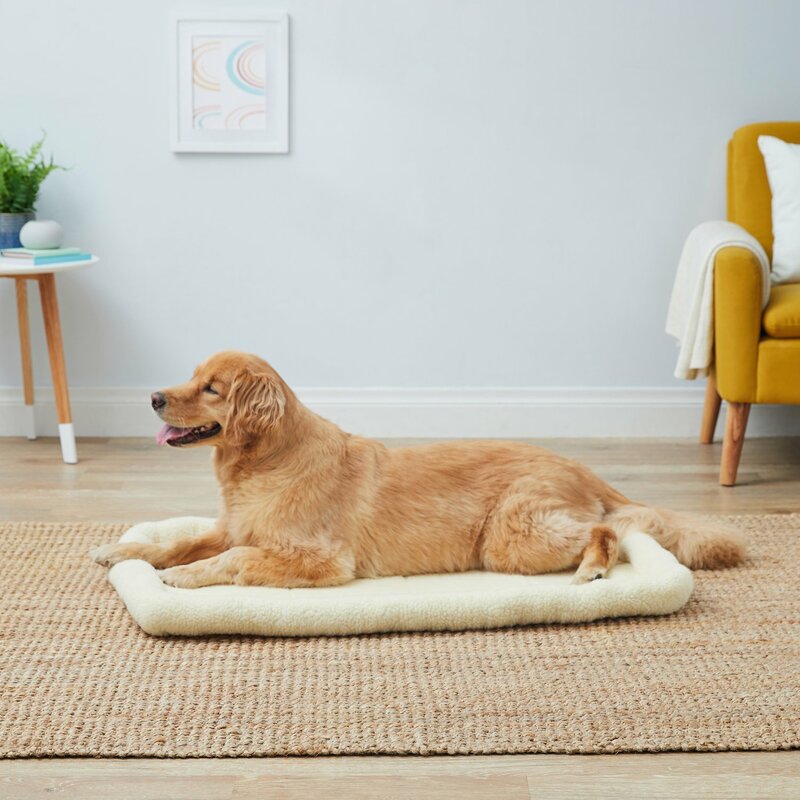 Carlson Pet Products Fleece Dog & Cat Bed is the perfect bed for many areas of your home or on the go. It's made with a durable cotton and polyester-based fleece and a polyester-filled bottom that provides comfort for your pal. 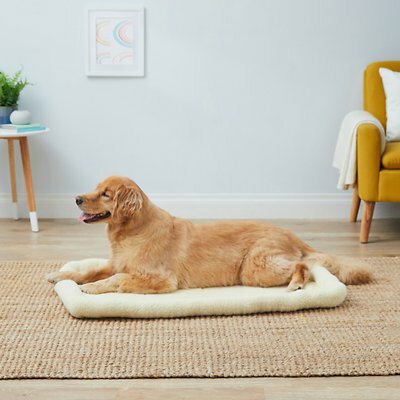 This firm bed is lined with a 2-inch thick bolster border that provides additional comfort and security and serves as an excellent headrest for your pet. It's perfect for use around the house, with a crate, a kennel or even for car travel! Best of all, it's machine washable for easy cleaning. The firm and durable bed is perfect for use around the house, with a crate, kennel, or car travel. Made with a durable cotton and polyester-based fleece that provides comfort for your pet. Lined with a 2-inch thick bolster border that serves as an excellent headrest for your pet. Designed with a durable polyester-filled bottom for additional comfort. 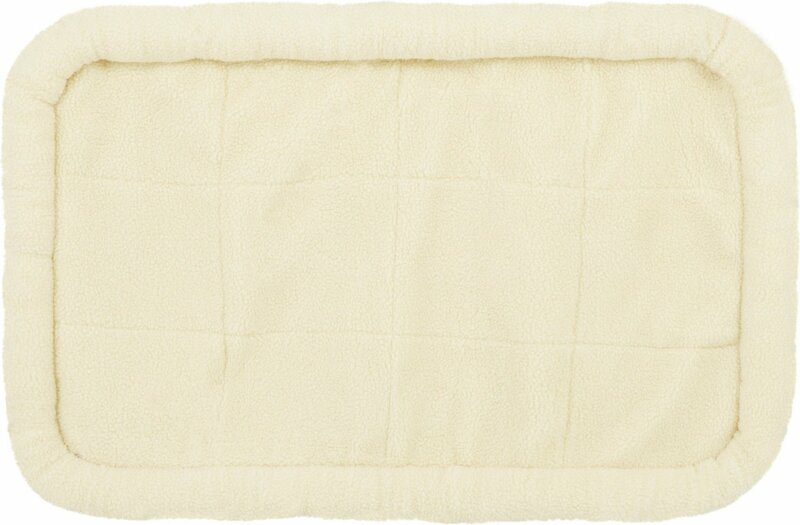 Fleece bed can be rolled or folded, making it easy to carry, travel with, and store. If the bed gets dirty, it is machine washable for easy cleaning. I have 4 cats, ordered 3 to replace old ones. Washed on regular cycle and dried in dryer and all came out perfectly; I was surprised. I ordered a small for 11 year old cats, 12-20 pounds, plenty of room to stretch out. My cat is like Mikey and this is Life Cereal!! I have an extra large crate and this fits perfectly. So far, no shredding or complaints from my pooch. My cats love this bed. I purchased two and they lay on it all the time. Perfect to fit in a crate, only wish it was a little thicker for comfort (but I also have a diva dog). Love that it is Machine washable as we’ll. This was for My German shepherds outside bed and he loved it! It wasn't expensive, so value wise it is okay. The picture just made it look plusher. Thought the bed was going to be a little more thinker then it was but over all my dog likes it.